Stopped in very quickly before grabbing some 'za at Piece around the corner. Couldn't find anything worthwhile, then found the record you see glaring at you above as the last item in the 'new arrivals' for jazz/blues. 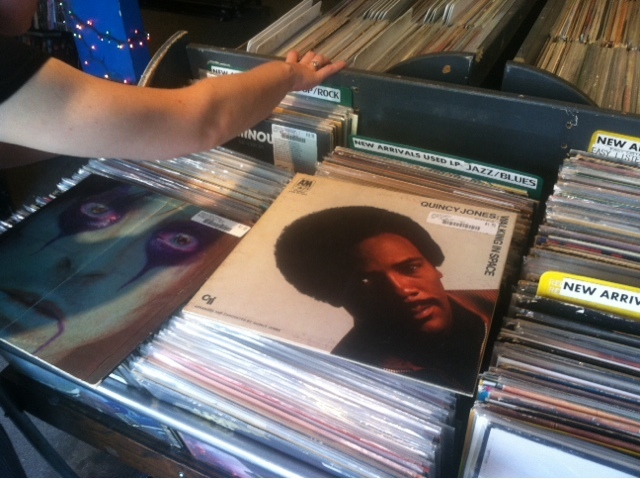 Q is the only artist in the CTI repertoire with a record in the 3000 series (two releases actually) that do NOT use the layout seen otherwise. As such, this was not necessarily on my legit want list, but it was in the back of my mind. The musicians that played on it is a sickening array of talent: Toots (on harmonica AND guitar! ), Pretty Purdie, Hubert Laws, JJ and K...they weren't messing around! Not to mention Bob James first gig arranging for Creed Tayor. A nice score for a quick little hunt in a store long since familiar.